If you run a business in Fort Lauderdale, Boca Raton, or Boynton Beach, a fire alarm system is a must. Everything that you have worked so hard for can literally go up in smoke, and it can take a long time to rebuild a structure that has been badly damaged by a fire. Fortunately, there are very sensitive, high-tech fire alarm systems on the market, and we source the best of the best. Since we have been installing fire alarms for over a quarter of a century, we have been able to identify the most effective products that are out there, and we install them perfectly. Our service area is rather expansive, so we can also spring into action if you need a fire alarm in Davie, Deerfield Beach, Coconut Creek, Coral Springs, Tamarac, Margate, Sunrise, Pompano Beach, or Lighthouse Point. You can go forward with total confidence when you engage our company to install a fire alarm system for you. The products that we offer come with very strong warranties, and we provide a one-year installation workmanship guarantee. And if you ever need a fire alarm system repair at some point down the road, we will always be here to provide assistance. In addition to fire alarm sales and installations, we also offer fire alarm monitoring for our Fort Lauderdale area commercial clients. We operate a state-of-the-art monitoring station that has been approved by Underwriters Laboratory, and it is staffed around-the-clock, seven days a week, 365 days a year. You can rest assured that a qualified professional will always be keeping an eye on your property when you engage us to provide fire alarm monitoring services. The quality of the fire alarms Fort Lauderdale-Boynton Beach-Pompano Beach clients can obtain from us is top-notch, and our monitoring services are second to none. This being stated, we know that people do not have unlimited budgets, so we do everything that we can to keep our prices at a minimum. 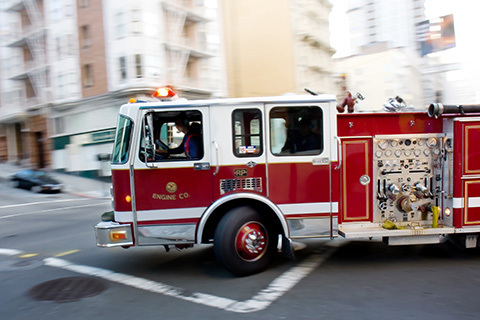 You get the best of both worlds when you obtain your fire alarm and fire alarm monitoring from MMJ Electric. If you would like to discuss your fire alarm needs with one of our friendly, knowledgeable consultants, give us a call at 954-876-1536. There is also a contact form on this website that you can use to reach out electronically.